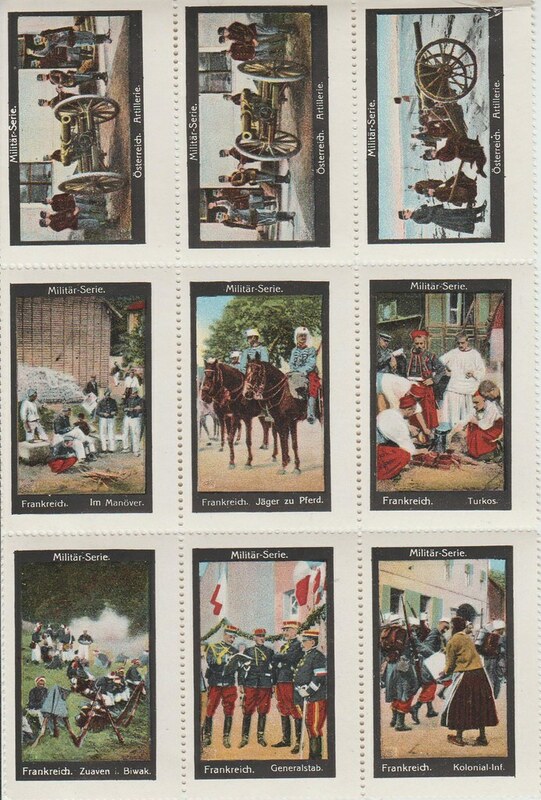 This block depicts Austrian and French military scenes, probably pre-World War I. It is part of a long series, possibly German. I don't have any more details. Here is another military series. 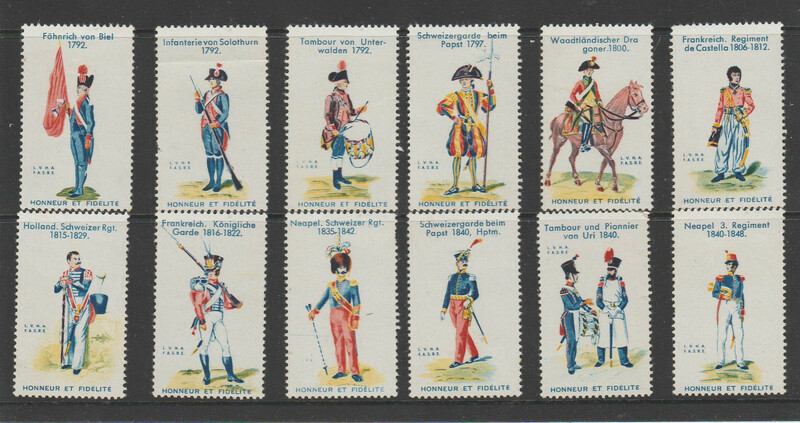 The wording at the bottom of each stamp is in French and although it is the motto of the French Foreign Legion (founded in 1831), Honour and Fidelity, in this case, it relates to earlier foreign regiments in the service of France dating from the early 17th century. However, the regimental names are in German as with the series shown above. 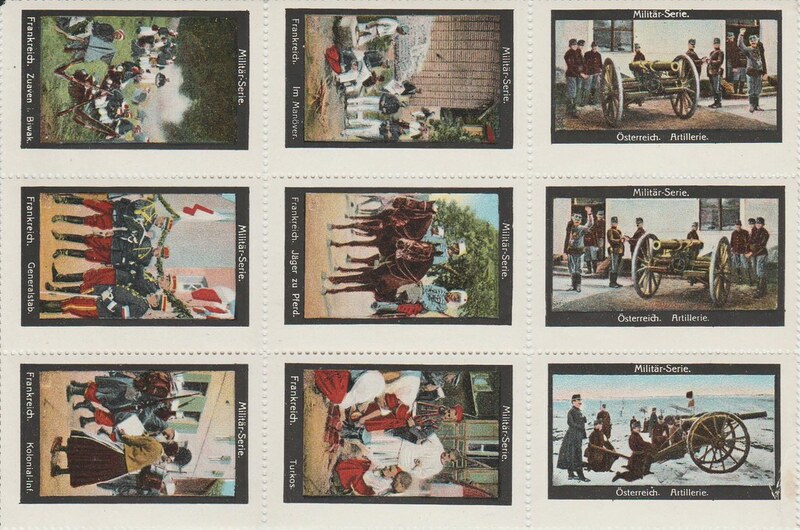 I have some of these Austrian stamps too, Daniel. I would agree that it seems to be quite a long series, which I have abandoned collecting. However I do like the French ones.